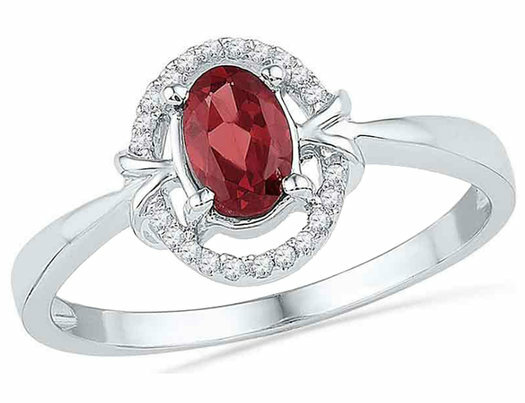 Stunning beautiful lab created oval shaped rich red garnet gemstone sit in a crisp 10 karat white gold foundation in this simple and affordable gemstone ring. Sparkling diamonds surround the juicy gemstones and complete the look. Garnet is the birthstone of January.